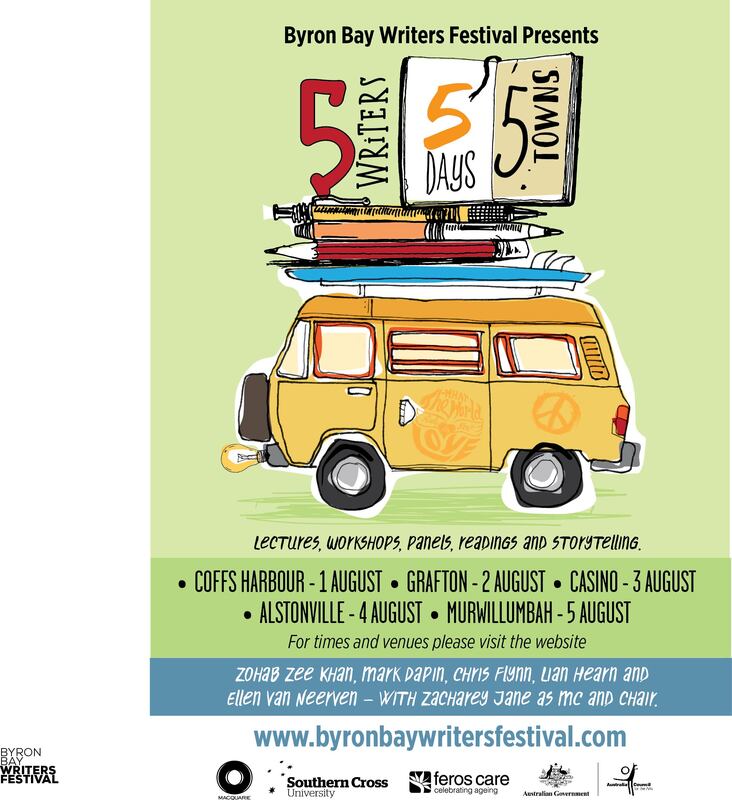 BYRON BAY WRITERS FESTIVAL AUTHORS VISIT COFFS | Coffs Harbour Writers' Group Inc.
Byron Bay Writers Festival goes on the road to Coffs Harbour. All events are FREE, sponsored by the Australia Council, the BBWF and the Coffs Coast Writers Centre. The writers talk about taking their new books on the road. Join us for a creative writing workshop from acclaimed writer Lian Hearn and a workshop for Indigenous writers with Ellen Van Neerven. BOOKINGS: ESSENTIAL. Open to the first 20 writers for each workshop. Please email zjfivewritersroadtrip@gmail.com to book your place. BRING: Paper and pens and any writing you would like to work on. Join us for an evening of talk about books and writing, readings and storytelling games as we play the first round of the 555 Tag-Team Storytelling Cup.